Command responsibility, in its loose sense, is a touchy issue at best. In its strictest sense a military concept, it is nonetheless also often cited in the management of organisations other than those military in nature. If the commander is aware of the atrocities being committed by his troops and fails to either prevent these or subsequently take action against the perpetrators, then he becomes accountable for their actions. However, in my own lengthy stint in management, I was personally always careful to even cite this. The implicit question always is how far up the hierarchy does responsibility or accountability go; and it goes without saying that it can go technically all the way to the top. Conversely, the question can also be asked how far down the hierarchy must responsibility or accountability be limited. Like I said, it is a touchy and complicated issue. Command responsibility – or superior responsibility – in its technical sense refers to the accountability of military leaders up the hierarchy pertinent to the commission of war crimes by troops under their command. Sometimes, it is referred to as the Yamashita standard or the Medina standard. The former refers to the prosecution of the WWII Japanese General Tomoyuki Yamashita for atrocities committed by Japanese personnel towards the end of the war in the Philippines. These atrocities are well-documented, particularly towards the end of the war when it was apparent that the Japanese were losing to the Allies. 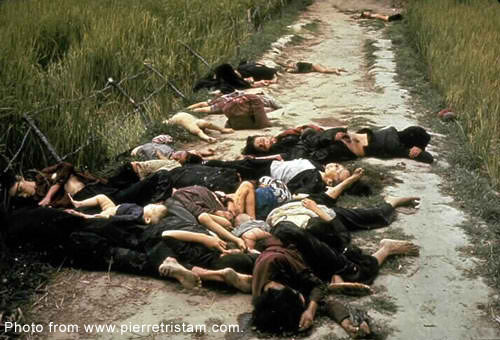 The latter refers to the case against United States Army Captain Ernest Medina for the summary execution of more than 500 unarmed civilians by soldiers of the Army in what history remembers as the Mai Lyte Massacre in Vietnam. Either case involved charging a commander with war crimes for atrocities committed by troops under his respective command. 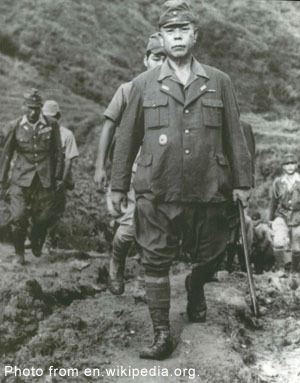 Yamashita was prosecuted under the charge of “”unlawfully disregarding and failing to discharge his duty as a commander to control the acts of members of his command by permitting them to commit war crimes. Medina, on the other hand, was prosecuted based on the premise that a commanding officer could be held liable if he did not take action while his troops committed violations of human rights. 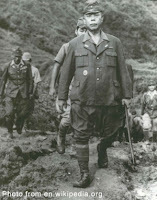 While Medina was acquitted, Yamashita was found guilty on the basis of his actual knowledge of the crimes that were being committed by his troops and, thus, his failure to either control or prevent such crimes. Two things, I believe, are crucial to the entire concept of command responsibility. The first is the establishment of the commander’s explicit knowledge of the commission of the atrocities. If he is not, then the finger can be pointed higher up the hierarchy because accountability applied higher up will be just as valid as that against a commander who has no knowledge of an incident that he is being charged with command responsibility. Note that either case also involved due process; albeit the Yamashita case continues to be regarded as controversial because the guilty verdict was passed by the trial court of a winning nation in a war against a citizen of the losing nation. Personally, I prefer to deal with an incident at the level at which it was committed – unless there is firm evidence showing blessings given from higher up the ladder. Applied to management, you avoid being unfair and arbitrary and prevent having one more disgruntled employee among the ranks. If there are indications of knowledge higher up the ladder, then the level of accountability has to be established. Using due process, of course.